What the show’s seven seasons can teach us all. Whether you are a Hanna, Emily, Aria, Spencer or an Alison, you identify with someone in the PLL squad. And for me, what made Pretty Little Liars special is the love and loyalty these characters have maintained for each other over the run of the series. In a world where teens and adults have to navigate mean girls, mean boys, playground bullies and cyberbullies, my goal was to create a show where the lead characters put their friendships first. Even when the stakes were at their highest, often facing life or death choices, the PLLs never wavered on their friendship goals. Seven seasons of story later, the character of Alison has had more emotional growth than any other on the show. She came back to Rosewood High School for her senior year and owned up to the horrible bully she once was. She apologized but was still mistrusted and often misunderstood. The audience saw that it was Alison’s own mother who taught her to lie. Her family had enough dark secrets to fill all the closets in Rosewood. But Alison never relented in her pursuit of happiness and genuine friendships. 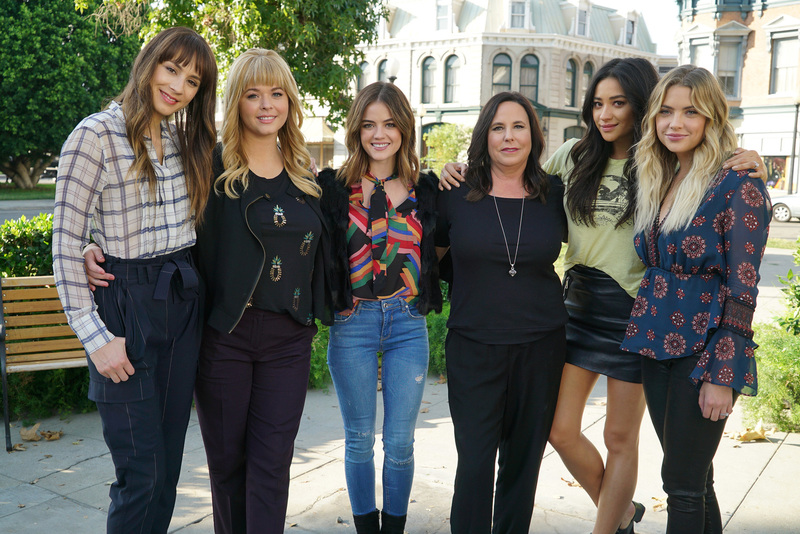 Fans of the show understand that, at its core, PLL is about the unconditional friendship of these five young women who risked their lives to protect each other for 160 episodes. In season two Doctor Sullivan diagnosed Mona with a condition she called a “Perpetual State Of Hyper Reality” when it was revealed that Mona was “A,” the original cyber bully torturing the Pretty Little Liars. The PLL’s response to seeing there once tormentor losing her mind was not joy or indifference, but concern and caring. Despite everything they’ve been through. The Liars came to her aid in that moment. They made sure she got the care she needed. The true aim of Pretty Little Liars was to show its audience that friendship could get you through anything. It was important that we show that in as many and diverse ways as possible. Through breakups, huge mistakes, betrayal and mental health issues, these girls stuck together. We hope we have given our audience not just seven years of wish fulfillment but also a path to seeing how to promote friendship and kindness through choices and actions. Yes, at times their judgment was poor. “Liars” is in the title. But over the years our PLL characters became positive role models for young women. They were strong, fearless and empowered as they worked together to overcome and overtake their anonymous uber-bully.